While many think of substance abuse as a contemporary social problem, the story of humans experiencing problems related to the use of psychoactive substances is at least 4,000-10,000 years old (Hanson, Venturelli, & Fleckenstein, 2015; Howard, Garland, & Whitt, 2013; Singer, 2012). United States history is peppered with documentation of problems associated with alcohol and other drugs. For example, the opiate drug known as morphine, widely used during the Civil War to manage wounded soldiers’ pain, left many of them experiencing addiction as a result. Subsequently, heroin also became available and marketed as a “non-addicting opiate with greater analgesic potency than morphine” (Kornetsky, 2007, p. 96)! Prior to the Civil War, 60-75% of Americans who were addicted to opium or morphine were women, in large part because physicians often prescribed opiate drugs to deal with a wide variety of “female” complaints (Blumenthal, 1998). In addition, physicians of the time often prescribed alcohol as a treatment for opiate addiction, and many socially acceptable and widely accessible medicines contained very high alcohol or opium content (Plant, 1997; Straussner & Attia, 2002; van Wormer & Davis, 2013). See this historic advertisement. Early U.S. Policy and Legislation Efforts. At around the end of the 19th century, awareness of potential harms associated with these substances spread. For this and other political reasons, the United States Congress was encouraged to enact legislation to control opiate drugs, and passed the Harrison Narcotic Act of 1914. An added public policy motivation: governments could now collect special taxes on the production and distribution of these drugs. Some public policies advocated institutionalization in psychiatric and criminal facilities, while others enforced sterilization as part of the negative eugenics movement (White, 1998). These strategies were viewed as acceptable solutions to the problem of alcohol or other drug addiction as attempts to prevent its spread in the community (Straussner & Attia, 2002). Since the Harrison Narcotic Act, the United States has implemented other criminalizing policy responses to alcohol and other drug problems. One familiar to most of us was the 18th Amendment—commonly known as Prohibition. This amendment to the United States Constitution banned the manufacture, sale, or transportation of “intoxicating liquors,” but not the drinking of alcoholic beverages. Although the combination of the 18th Amendment to the United States Constitution and the Volstead Act (which clarified that beer and wine were included as alcoholic beverages) were implemented beginning in 1920, many states had already enacted their own more local prohibition laws (Hanson, Venturelli, & Fleckenstein, 2015; http://www.archives.gov/education/lessons/volstead-act/). The 21st Amendment repealed the federal alcohol prohibition laws in late 1933; some states and local jurisdictions were slower to change their own prohibition policies. Some states continue to have “dry” communities restricting the sale or distribution of alcohol, and some communities maintain “Sunday” or “blue” laws banning the sale of alcohol during certain hours. It was also during the 1920s and 1930s that many states developed prohibition-style policies about marijuana, and the federal government got involved in 1937 with passage of a Marijuana Tax Act and more severe criminalization policies during the 1950s. You might find it interesting to pursue historical literature documenting the intersections of alcohol/drug policy with historical and sociological trends such as the temperance movement, women’s suffrage, immigration, organized crime, classism and racism (see for example, Straussner & Attia, 2002; van Wormer & Davis, 2013). 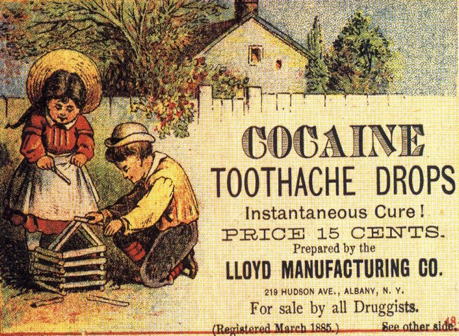 Many of these historical policy patterns have implications for today’s politics and policy debates, as does the extensive economic impact of both local and international trade in substances such as alcohol, tobacco, coffee, tea, opium, cocaine, and others. Evolution of Contemporary U.S. Drug Policy. During the 1960s, many programs and policies aimed at addressing both the supply and the demand sides of the drug trade were established. The term “War on Drugs” appeared in 1971, referring to stepped-up drug criminalization and law enforcement efforts (McNeece & DiNitto, 2012; Schori & Lawental, 2013). It is important to understand that while these programs focused on our internal drug problem, it is virtually impossible to separate our nation’s drug war efforts from international policy, international relations, and global economics. One criticism of “America’s Longest War” (the title of a 2013 award winning film) has great relevance to social work and disciplines concerned with social justice issues: the War on Drugs has contributed to extreme racial and gender inequities in the nation’s incarceration rates (Bush-Baskette, 1999; Chesney-Lind, 1997). For example, by the early 1990s, 74% of individuals serving prison sentences for drug possession were black, despite their accounting for only 13% of people who used drugs (Kilty & Joseph, 1999). The War on Drugs also may explain the relative explosion of women in prison for non-violent, drug possession charges that occurred during the late 1980s to 1990s—leading to a declaration that the War on Drugs became a “War on Women” (Bloom, Chesney Lind, & Owen, 1994). Another criticism of the War on Drugs addresses its high economic costs: over $25 billion in fiscal year 2014 alone (ONDCP, 2014). Pregnant Women and Substance Use. States differ in their policy responses to the use of alcohol or other drugs by women during pregnancy. For example, in some states a pregnant woman can be involuntarily committed to a treatment facility, jail, or relative’s home for supervision to prevent her continued use of substances known to be harmful to a developing fetus. Many states have policies relating to the substantiation of child maltreatment allegations when a pregnant mother misuses alcohol or other drugs. While intended to help protect the unborn child from potentially harmful drug exposure, these policies are controversial, as they also may discourage women from seeking much-needed prenatal care for fear of discovery and becoming subject to consequences imposed through the courts and child welfare system. Drinking Age Legislation. Drinking age legislation restricts drinking by persons under the age of 21 years to very specific circumstances. You may find it hypocritical that a person who is 18 years old and treated as an adult in all other domains may not be treated as an adult in this particular domain. Drinking establishments are certainly concerned about reduced revenue from not being allowed to legally serve alcohol to 18-20 year olds. On the other hand, there exists compelling evidence that higher drinking age minimums are associated with lower traffic fatality rates, for example. Another rationale involves an attempt to mitigate the potential risks associated with exposing the still-developing, emerging adult’s brain to alcohol: major developmental changes in brain structure and function, beginning early in puberty, continue well into the period of adulthood (Spear, 2000). Furthermore, raising the legal age to be well over 18 eliminates confusion about enforcing alcohol-free zones in high schools which is one reason such a policy was supported by school administrators. Drinking age policy periodically becomes contested, tested, and retested in the United States. While this is policy determined at the state level, federal highway funding rules seem to govern the states’ uniform decision to support a minimum legal drinking age of 21 years. Decriminalization Efforts. Our nation has an opportunity to learn from the contemporary “natural experiment” in policy reform whereby several states have decriminalized the production, distribution, possession, and/or use of marijuana. Some hypothesize that decriminalization of substance possession or use might reduce the economic incentives for illegal production and distribution of drugs, and allow government entities to increase revenue through taxation (McNeece & DiNitto, 2012). Decriminalization is contested, however, as potentially contributing to increased rates of substance use disorders and other health risks associated with substance use: problems such as driving under the influence. Law enforcement professionals have expressed grave concerns regarding the potential for increased demands on police forces already stretched by the need to manage alcohol-related situations if marijuana is also legally used by the general public. Recent evidence suggests that the presence of legal (medical) marijuana dispensaries is associated with increased violent and property crime rates in adjacent areas (Freisthler, Ponicki, Gaidus, & Gruenwald, 2016). Addiction treatment providers have expressed concern about the potential impact of easier access on individuals already in recovery from substance use disorders, and the potential for further stressing an under-resourced treatment service system with an increase in demand for intervention to address problems with marijuana use. Prevention experts are concerned about the message that legalization/decriminalization might convey to young people considering initiating substance use. And, there continues to be controversy as to the potential (as yet, unknown) effects on the health care system resulting from an increase in disease or disability due to long-term use of marijuana products—along the lines of what we see with alcohol. Drug courts: Traditional drug-control methods of the criminal justice system, such as mandatory incarceration and harsher penalties, along with court-mandated treatment following release from incarceration, have not proven to be sufficiently effective to curb the problems associated with illicit drug use (Broadus, 2009). In addition, these efforts wreak havoc on the court system by creating tremendous backlogs of cases considered to involve relatively minor, non-violent offenses, and push jail populations far over capacity at great public expense. In response, a movement emerged late in the 1980s to establish special courts for managing nonviolent, drug-related cases. The drug court mission was to engage individuals in court-monitored, structured, evidence-supported treatment and divert them from being incarcerated if they complied with the individually-tailored treatment plan. Each program involves an interdisciplinary team of criminal justice and mental health professionals responsible for creating an individualized comprehensive plan for each program participant, and for monitoring participant progress. Failure to comply with the plan results in the court levying the traditional sentences for the original offenses. Harm Reduction Policies. Some strategies and policy approaches are based on the principal that has come to be known as harm reduction. While the goal always remains reducing risk by ending high-risk behaviors (like misusing alcohol or other drugs), it is not always wisest to wait for risky behaviors to cease. Instead, it is often wiser to intervene in ways that reduce the potential risks, harms, and other negative consequences associated with the behaviors in the meantime. This harm reduction approach, derived from public health rather than criminal punishment motivations, aims to improve quality of life for individuals, families, and communities associated with the risky behaviors (Collins et al., 2012). 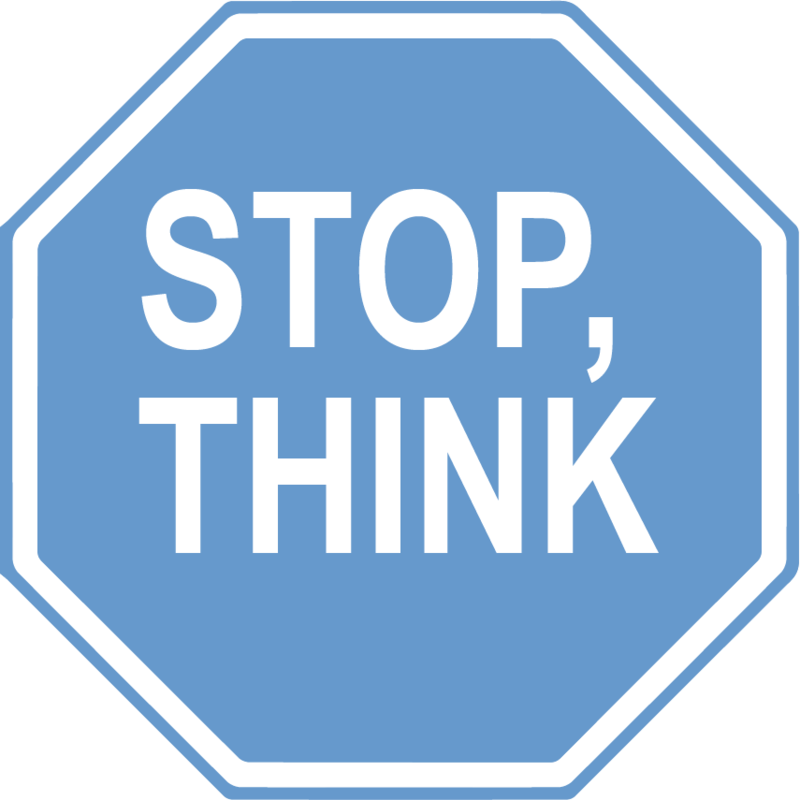 Some examples include programs to prevent driving while under the influence of alcohol or other substances, while not necessarily stopping a person from drinking or using substances; clean needle and syringe exchange programs to reduce risk of exposure to blood-borne communicable diseases like HIV/AIDS and hepatitis; supportive housing for which abstinence is not an eligibility requirement. Another harm reduction strategy has recently emerged in many communities: programs for making available to first responders, friends, and family members an emergency pack for administering an opioid overdose reversal drug (naloxone or Narcan®) to save the lives of individuals who might otherwise die of an overdose before professional treatment is accessible. On one hand, harm reduction is viewed as being practical and humane. On the other, there are concerns that harm reduction is too “soft” on people who are breaking the law, that abstinence-only policies are necessary to motivate individuals to change their behavior, and that risk-reduction approaches do not do enough to stop substance use. Access to Treatment. Improving access to treatment for substance use disorders represents another modern policy/advocacy front with great significance for social work and other human service professions. In Module 2 we will learn about the considerable gap that exists between the need for these services and the numbers of individuals (and families) able to receive them. The nation budgeted just over 10.1 billion dollars to prevention and treatment for fiscal year 2014, including Medicare and Medicaid funded treatment services, substance abuse treatment for veterans and current military service members (and families), and prisoner reentry initiatives (Office of National Drug Control Policy/ONDCP, 2014). Federal funding also currently assists health-focused centers and institutes in monitoring the nation’s substance use problems and in studying causal factors and potential solutions. These include the Centers for Disease Control and Prevention (CDC), SAMHSA, and several institutes of the National Institutes of Health (NIH), such as the National Institute on Drug Abuse (NIDA), the National Institute on Alcohol Abuse and Alcoholism (NIAAA), and the National Institute on Mental Health (NIMH). A person’s ability to engage in formal, professional treatment for these problems often depends on an ability to pay with insurance or self-pay dollars. One potential advantage of the Affordable Care Act (ACA) first implemented in the United States during 2013-2014 was the possibility of increased access to mental health and substance use disorder treatment services for many individuals. With passage of the ACA, young people were allowed to remain on a parent’s Medicaid plan until the age of 26 years, subsidies helped more people afford health insurance, annual and lifetime benefit limits and limits on number of visits for behavioral health services were eliminate, and behavioral health care became more affordable by ensuring co-pays could not be greater than those for physical health services. The ACA also helped protect insurability for individuals who have a pre-existing condition in their medical records; having a history of a substance use disorder would be a pre-existing condition necessitating protections, no matter how long the person has been in recovery. The federal Mental Health Parity and Addiction Equity Act of 2008 also helped regulate the health plan/insurance industry with regard to benefits for individuals with substance use disorders in their medical histories. Despite excitement over expanded coverage and protections, concerns arose regarding the treatment system’s ability to meet the anticipated increase in demand: Do we have enough trained professionals to meet the experienced need? At the end of 2016, the U.S. Congress passed two major pieces of legislation related to substance use and addiction. The first was the Comprehensive Addiction and Recovery Act (CARA) that provided legal status for many harm reduction strategies, such as increased access by non-physicians to naloxone for reversing an opioid overdose. However, CARA did not provide funding for these approaches. The second was the 21st Century Cures Act that provided federal funding to “accelerate the discovery, development, and delivery of 21st century cures” and other purposes (https://www.congress.gov/bill/114th-congress/house-bill/34/text ). In addition to ensuring specific funding for the NIH and Federal Drug Administration, the act provided funding for states with relatively high prevalence of opioid use disorders to develop their responses for addressing the opioid abuse crisis. This included prescription drug monitoring programs, prevention activities, health care provider training about best practices, supporting access to treatment programs, and other public health-related activities to address the identified crisis. The impact of policy revisions regarding health care coverage since the 2017 change in national leadership remains to be seen. The White House created the President’s Commission on Combating Drug Addiction and the Opioid Crisis (March, 2017) with the mission of studying “the scope and effectiveness of the Federal response to drug addiction and the opioid crisis…and make recommendations to the President for improving that response” (https://www.whitehouse.gov/the-press-office/2017/03/30/presidential-executive-order-establishing-presidents-commission ). However, at the same time, the Office of National Drug Control Policy (ONDCP), a component of the President’s Executive Office, is at risk of being significantly defunded by the year 2018. For each of the following topics, consider what evidence supports your position, and what evidence might counter your position. Drinking Age Legislation: What do you think about the current minimum legal drinking age policies in the United States? What do you know about policies in your own community regarding being a minor in possession of alcohol, driving while under the influence as a minor, and the provision of alcohol to underage minors? How might these issues apply to cigarettes, e-cigarettes, and other tobacco products? Drinking or Drug Use during Pregnancy: What do you think should be the state’s policy response to women who use alcohol or other substances during pregnancy, and why? What are the social justice issues involved? What are the likely “real world” implications of implementing (or not) such ideas in practice? Prohibiting versus Decriminalizing Policies: Thinking about the historical policy called Prohibition, what are the parallels and differences with regard to policies restricting distribution and use of other substances like marijuana or opioids/heroin? Consider the effectiveness or ineffectiveness of public education strategies that involve “scare tactics” and “Just Say No” policy responses to preventing substance use initiation by young people–what worked and what did not, and for whom were these approaches effective and for whom were they problematic? Why do you think the problems were or were not solved this way? Naloxone access policies: Naloxone is not a cure for addiction, but the immediate life-or-death health crisis may be resolved if delivered in time. The wholesale price for a 3-dose administration (necessary for many individuals who use heroin/fentanyl combinations) can cost over $4,200. Though the costs to an individual person or family member can be offset to between $0-$125 in some communities through donated doses, grants, and public funding, doses provided by first responders may or may not be offset. What do you think about policy allowing non-professionals in the community to obtain prescriptions for naloxone to use if they witness an opioid overdose? What about prescribing it to a person with a diagnosed opioid addiction, to carry for others to administer if needed? How do you feel about doing this for someone yourself (and perhaps conduct rescue breathing during the time it takes to work)? How do you feel about these costs affecting city/county/state budgets for first responders? Previous: Who (Mis)Uses These Substances? Ch. 3: A Brief History of Substance Use and U.S. Policy Responses by Audrey Begun is licensed under a Creative Commons Attribution-NonCommercial-NoDerivatives 4.0 International License, except where otherwise noted.